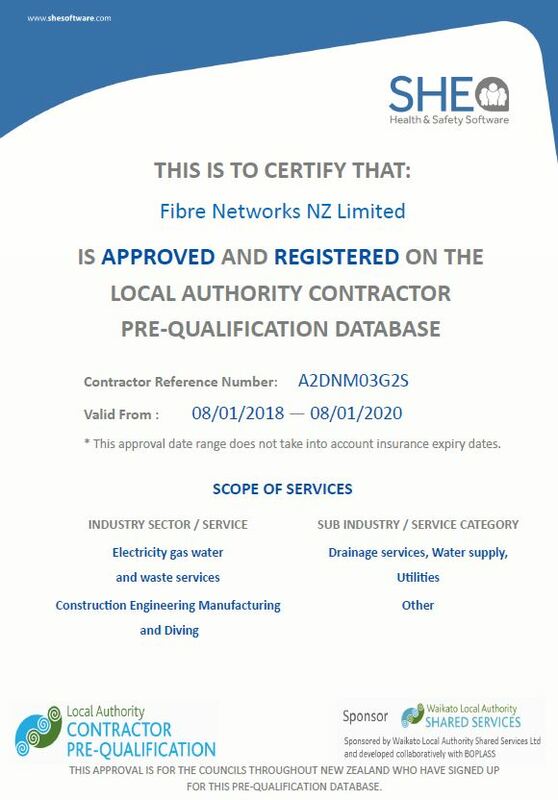 Health and Safety must be forefront of every member of the Fibre Networks NZ Limited Team on a daily basis. With this in mind, the management team of FNNZ have formulated and introduced a policy to make all staff aware of the dangers associated with their work. FNNZ have endeavored to ensure all employees know of hazards in their work and how to avoid or deal with these hazards. FNNZ committed to the protection of its employees / subcontractors and property from accidental damage. Foremen will be held responsible for safety in the areas of supervision in the same way that they are responsible for quality, efficiency and maintenance, and safety will take precedence over short cuts, or expediency at all times. Likewise employees have a responsibility to observe safe work practices, rules and instructions relating to their work. All FNNZ staff are required to attend a weekly Monday morning meeting in regards to health and safety. In this meeting we review the week that has been, reporting incidents, discussing what happened, and how systems, policies and procedures can be improved. We review two SOP (safe operating practices) and ensure that the paperwork and the practice are aligned. We discuss machinery and any maintenance requirements as well as training, both internal and external. The contents of the Work Safe NZ documents are available to staff and management of FNNZ and other principals we may contract to. 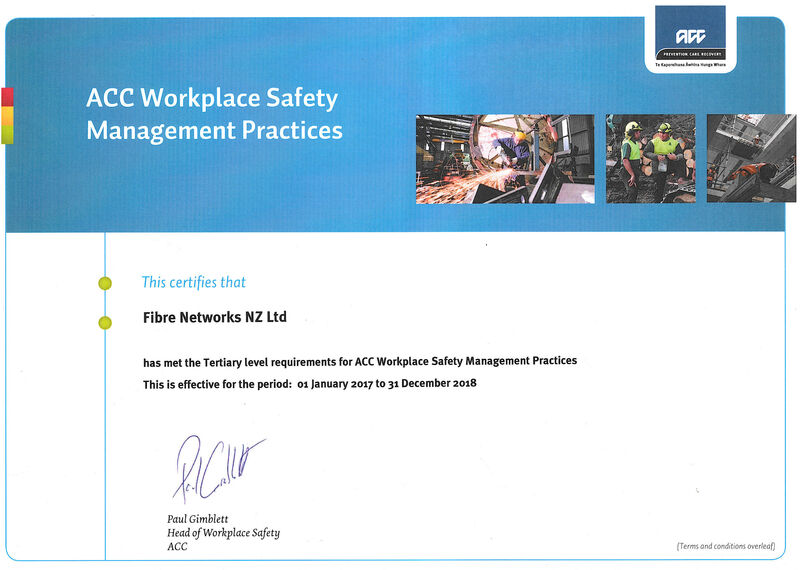 In October 2015 FNNZ secured a tertiary level qualification in ACC Workplace Safety Management Practices. This is most important in today’s world where health and safety is such a major focus. FNNZ, has then successfully been audited and maintained this accreditation. This qualification has run its course in December 2019 and FNNZ is eagerly awaiting the release of the next ACC initiative. Provide a safe work place, safe equipment, and appropriate materials. Comply with all legislative requirements codes of practice and safe operating procedures relevant to our workplace.